Pro Se Productions, a leader in cutting edge Genre Fiction and New Pulp, releases four new titles as the second part of the debut of its PRO SE SINGLE SHOT digital imprint. The stories featured as Single Shots will be from 3,000 to 15,000 words and will either be pulled from past and upcomint Pro Se anthologies and collections or will be original stories published for the first time in this format. These four titles complete the opening of the SINGLE SHOT imprint. Beginning the second week of January, at least one SINGLE SHOT a week will be released, although the plan is to release two weekly when possible. PRO SE SINGLE SHOT stories are available on Amazon, Barnes and Noble, and Smashwords as digital downloads for 99 cents each. Love makes The World Go ‘Round… Until it Kills You.&nbsp;&nbsp; Pro Se Productions, a leader in New Pulp Fiction, presents a tale from its upcoming TO LOVE AND DIE collection!&nbsp; Romance has endured for centuries as the most popular genre in entertainment, even in the era of Classic Pulp!&nbsp; Pro Se Productions harkens back to Love with a Razor’s Edge in TO LOVE AND DIE. And the first lovers ever find their lives tangled in one another again and again in author Mark Bousquet’s ‘Adam & Eve: Come Bite The Apple. Find out how Love joins and dooms these two figures to meet, fall, and run for their lives over and over. Love loaded with both barrels awaits in ‘Adam & Eve: Come Bite The Apple’ by Mark Bousquet, a Pro Se Single Shot available now! 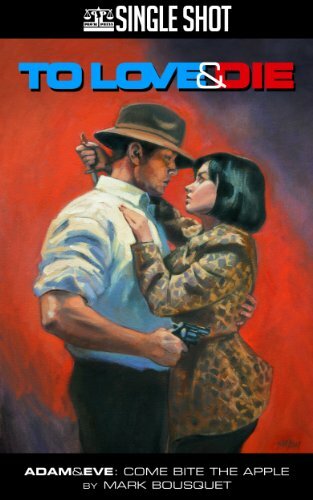 Pulp Happens…Throughout History! Pro Se Productions, a publisher of Genre Fiction, proudly presents D. Alan Lewis’ ‘To Catch A Copperhead’ , a story from Pro Se’s upcoming anthology, HIGH ADVENTURE HISTORY. 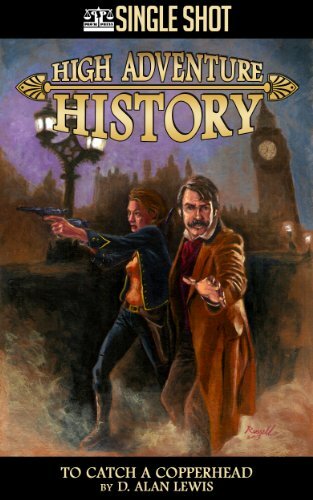 Setting tales in the past and telling them with a predominantly Pulp flavor, these stories find action and adventure in the annals of yesterday for readers today! ‘To Catch A Copperhead’ finds a vigilante in The Civil War on a singular mission- To Protect Ladies of the Night from horrors like those she self suffered! But when a possible sister soul enters her life, will she continue to elude the forces against her or finally be snared? Find out in the Pro Se Single Shot- ‘To Catch A Copperhead’ by D. Alan Lewis. From Nancy A Hansen’s Author Imprint, Hansen’s Way, and Pro Se Productions flies a new tale of Heroes on the Wing! 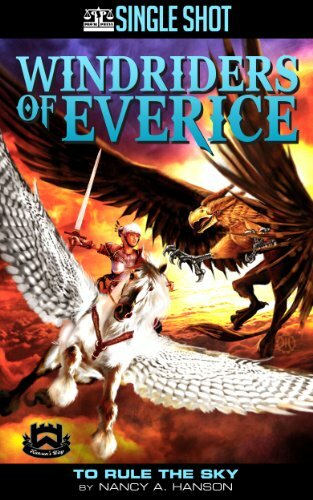 THE WINDRIDERS OF EVERICE, an upcoming collection by Hansen set in her very own fantasy universe, features heroes atop winged mounts protecting all above, below, and around them. ‘To Rule The Sky’ tells the tale of a young Windrider and her winged steed as they encounter a monster of the skies! As Battle ensues, the line between heroism and survival blurs in a dogfight for the ages! ‘To Rule The Sky’ by Nancy A. Hansen, a Pro Se Single Shot from Hansen’s Way and Pro Se Productions. Pro Se Productions, a leader in Genre Fiction and New Pulp, debuts its first stand alone Single Shot. While other stories in this Pro Se digital imprint have been from past or future collections, ‘The Corpse on Broad Street’ by Jim Beard is the introduction of a new, horrifying character in the world of New Pulp. A disillusioned lame duck District Attorney, a blind adventurer turned mayor, and indeed an entire city find themselves trapped in the grip of walking Death. A mysterious figure known as The Corpse takes life from bodies and brings back those he wishes to worship him! 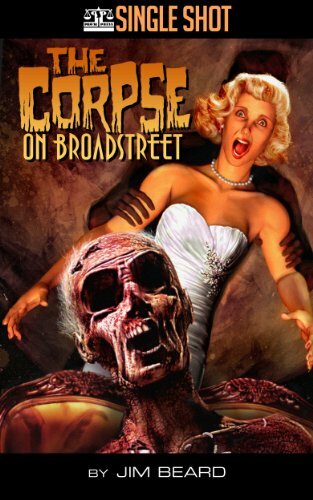 Find out what terror awaits all in ‘The Corpse on Broadstreet’ by Jim Beard. A Single Shot from Pro Se Productions. For more information on Pro Se SINGLE SHOT stories, the line, or Pro Se itself or to interview the authors or receive review copies, please contact Morgan Minor, Pro Se's Director of Corporate Operations, at MorganMinorProSe@yahoo.com. To explore Pro Se Productions, go to www.prose-press.com. And like Pro Se on Facebook at www.facebook.com/ProSeProductions.